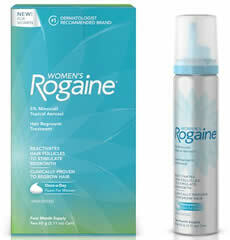 Regaine for Women Regular Strength can be used to treat common hereditary hair loss in women aged 18-65 years. It is thought that it works by aiding the blood flow to the cells in your scalp which grow hair. It’s easy to use and can quickly become part of your morning and evening beauty routine – For best results, it must be used twice daily. Through its active ingredient minoxidil, Regaine for Women works by increasing the supply of blood and nutrients to your hair follicles, helping to strengthen the existing hairs and encouraging them to grow. Over time, this process can produce thicker, more visible hair. For Regrowth, it is a safe and drug-free supplement created for hair loss to nourish the hair and support normal hair growth. Despite the many different causes of hair thinning and hair loss, achieving normal hair growth requires supporting and maintaining a normal Hair Growth Cycle. The proprietary blend of ingredients in Nourkrin Woman – with the unique Marilex – helps support, normalize and maintain the Hair Growth Cycle by carefully providing the correct nutrients to the hair follicles. Today, the award-winning Nourkrin Woman is appreciated by women all around the world. Nourkrin Woman has over twenty years of experience and research and is scientifically proven to help maintain a normal Hair Growth Cycle, which helps promote normal healthy hair growth in women’s hair loss. Up to sixty percent of women experience hair loss at some point in their life. Female hair loss can be caused by various medications. 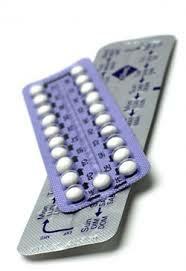 Stopping the use of birth control pills can cause hair loss. Oral contraceptives pills and some hormone replacement therapy drugs may cause hormonal changes that can cause hair loss.